2018 is coming up fast, and like every other blogger on the world wide web, I’m reflecting on the past year and sharing my thoughts with you. Hope you don’t mind! 2017 started miserably. I caught the flu or something equally awful at a wedding and was laid up for the first week of January. I had been living in Pennsylvania since November 2016, but once I got back to California, my dancing kicked into high gear. I managed to get to THREE competitions in 2017 – Ballroom Beach Bash, Desert Classic and Embassy Ball. I didn’t get there alone; anonymous sponsors graciously provided the emotional and financial boosts I needed to continue competing. 2017 also brought more changes to my personal life, from a new haircut and a new home. I’m still not quite sure how I managed to wizard my finances so I could rent a place on my own in one of the most expensive areas in the States AND still make it to competitions. But I did it! On the blog, I was able to share the stories of other dancers. Each story was unique, but one thing I loved was the universal theme – dance will heal you and turn you into a better version of yourself. My next big project came into existence this past year too – the Solo Practice Guide. The idea came out of a challenge I did with a branding mentor. So far, I’ve released a solo practice worksheet and a video on how to practice when you have no time. I’ve been working on the next video on how to practice at home, with limited space, during my time off from the day job this week. There is still time to get on the list by the way. You’ll get the link to the next video AND the downloadable worksheet, plus any more goodies I release before the publication of the full Guide. 2017 had me putting myself out there in more ways than one. Aside from more appearances at competitions and doing my own work to grow the Girl with the Tree Tattoo brand, I also had the chance to share my story with FloDance. While I was competing at Embassy Ball, FloDance interviewed me about my blog and the Girl with the Tree Tattoo persona that I had created. If you didn’t catch it, you can watch the video here. Every chance I get to spread the word about the Girl is a blessing because there is always the chance that through that opportunity, someone new will discover the blog and find the hope or encouragement they need, or simply the reassurance that they’re not alone in their struggles. When I first started blogging, I couldn’t have guessed at how my words would touch other people’s lives or at how those other people would affect my life! Like I say in the interview, helping other dancers find those magical moments on the dance floor when you feel like the true dancer inside you is coming out is perfection for the blog. While 2016 was full of delays and detours as I shed past pain and past identities, 2017 was a year of forward movement for me. I’ve done the best I can to set myself up for big things in 2018, and I’m excited to see what the new year brings to the table. And maybe a little nervous? It seemed appropriate on the eve of New Year’s weekend. Millions of people make New Year’s resolutions every year and a very small percentage follow through with them. I think everyone wants to change and improve themselves in some way, but they aren’t all prepared for the challenges that come hand-in-hand with that change. Change is hard. It means stepping outside of what you’re accustomed to and comfortable with. It means taking risks that you wouldn’t normally take. It means opening yourself up to failure. It also means opening yourself up to success. If you can meet the challenges and push through them, you will succeed and you will change. By the way, there’s no rule that says you can’t start now. You don’t need to wait until January 1 to start working out more, eating healthier, reading more books, saving more money or whatever other resolutions you’re thinking of making for 2018. I made a huge investment back at the beginning of November for my 2018 goals. I’ve been wanting to increase the number of days per week that I work out (separate from dance), so I took advantage of having this time off from the day job. I figured it would be easier to start building the habit when I had all day to get a workout done, instead of just after a long day at the office. It’s also ok if you don’t start right on January 1. If you resolve to start saving more money in 2018, but don’t save even an extra penny by the end of January, just start in February. I think it’s such a small percentage of people that follow through on their resolutions because a lot of people just give up too easily. They have one setback and throw in the towel. Let’s be clear. If you stick with whatever your goal is, there WILL be setbacks. Just look at my 2017 competitions. At every one, my results were worse than the one before. It’s partly because I was moving into new territory. I was changing, and so new challenges were presenting themselves. The point is to resolve to keep going. I can’t remember if I chose a word for 2017 at the beginning of the year, but if I were to pick one now, it would be movement. For 2018, I think my word is identity. If 2017 was about leaving the past behind and moving forward, 2018 is going to be about owning who I am on this journey as a dancer and a writer. One of my big goals is to strip off another layer of fear and self-doubt. I’ve removed a lot, but I still feel myself being held back by those little demons in my head telling me to not go so far or so big, to stay small and safe. As a more specific subgoal to that, I told Teacher 2018 will be the year I’ll finally stop being so scared to express myself in Foxtrot (my worst dance when it comes to styling and expression)! Even now, as I write this, I can feel my fear popping up to challenge my resolve. Are you sure?, it asks me. You could stay as you are. This is enough. You don’t need to go any further. It’s too risky; you might get hurt. It reminds me that with all the risk of falling and getting hurt, there’s also the chance of flying. My demons try to convince me that failure is by far the more likely outcome, but it just isn’t true. Every “failure” can be viewed as a challenge to see how badly I want the change I’m working toward. So now that I’ve rambled on about my intentions and goals for 2018, share some of yours! Are you making any resolutions? Have you already started making changes? Katie, I am going through a similar journey. So my goal is similar to yours. I will be working on my dancing to stand out on the competition floor. I tend to do enough to feel I belong in the comp but little enough not to be noticed. Similar demons I guess. 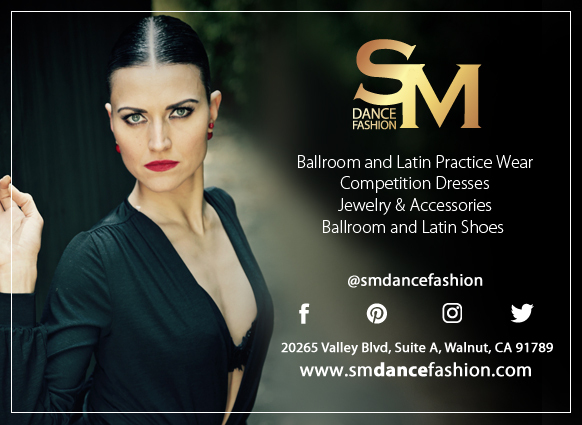 I am working on a Paso Doble solo that I will test out a few times before my next big competition in July. But in July I want to perform like a pro. I found a song that fits what I want to accomplish and I will be working on the moves demeanor and attitude to more than put myself out there to be noticed and critiqued by the best. Yes 2018 will be awesome! I’m an outdoors and travel writer, and I dance — although not ballroom! Irish dance instead. Anyway, I’ve been “stuck” in a too-big apartment for a few years now… nice problem to have, right?! But I’m not living my fullest potential. So today I gave notice on that apartment, and I have a nice slate of travel plans laid out for 2018. Now we just have to see if I can send out the right queries, do the right promotion, etc., to expand my reach. I always find your posts very inspiring, in part because of our obvious similarities (writing and dance, even if different types!) but also because your honesty and clarity of expression are both something special. I think this might be my first comment, though. So, thanks for being there and sharing your journey!